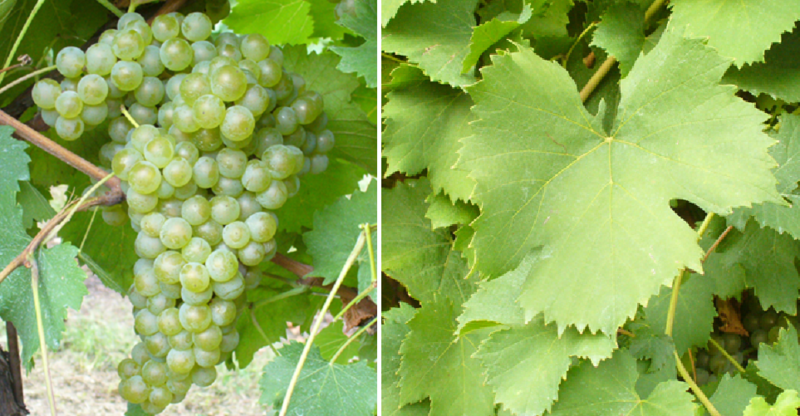 The white grape variety comes from the border area Italy (Gorizia) - Slovenia (Goricia). Synonyms are Uccellut, Uccelutt and Ucielute. The supposedly off Wild vines selected vine was in the province of Pordenone ( Friuli-Venezia Giulia ) has been grown for several centuries. It is one of the most beloved by birds "Uve Uccelline" (bird grape berries), from where the name derives. The nearly extinct vine was in the 1980s by the winemaker Emilio Bulfon reactivated with the help of the ampelographers Antonio Calò and Ruggero Forti. The late-ripening vine is prone to Botrytis, which is why they are for the production of noble sweet Passito suitable is. It is grown in the two municipalities of Castelnovo di Friuli and Pinzano al Tagliamento. In 2010, ten hectares of vineyards were reported (Statistics Kym Anderson ). This page was last modified at 6 August 2018 at 12:50.